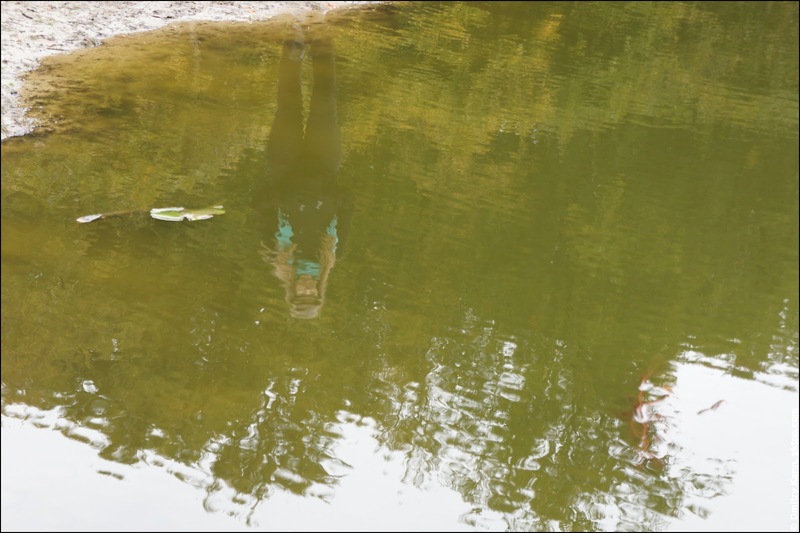 As you can see on the photo above, the autumn is not really visible yet. Now, a month later, a lot of leaves fell. The autumn in Holland is mostly but more damp than usual (or it can also look like this). 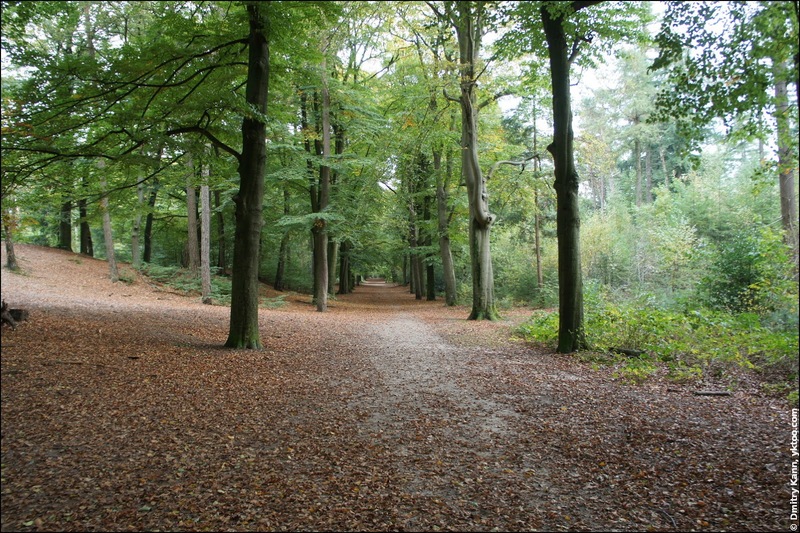 What one can also notice is that a Dutch forest is very clean and civilised. You can only think of properly paved roads (and a similar forest in Soest does have them). We arrived and discovered that there are loads of mushrooms here. The weather was apparently very favourable, warm and moist. But our only gear was a camera. 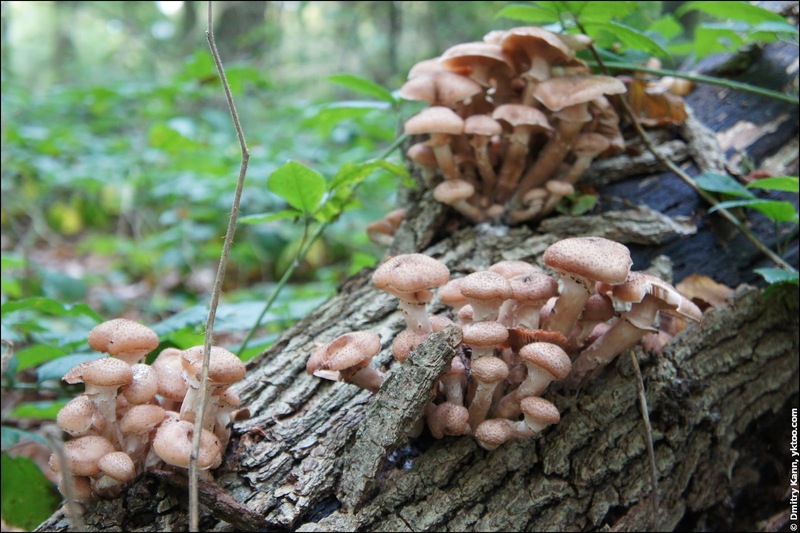 As for edible species, the Armillaria (openky) had the biggest presence. You could see them literally on every stump. We've expressed our regrets about the forgotten knife probably a hundred times. I believe you could easily fill a few buckets within an hour. Now to the legal, or rather illegal aspect of all this. Because it's illegal to pick mushrooms in the Netherlands. For Russian or Ukrainian people it usually comes as a shock. 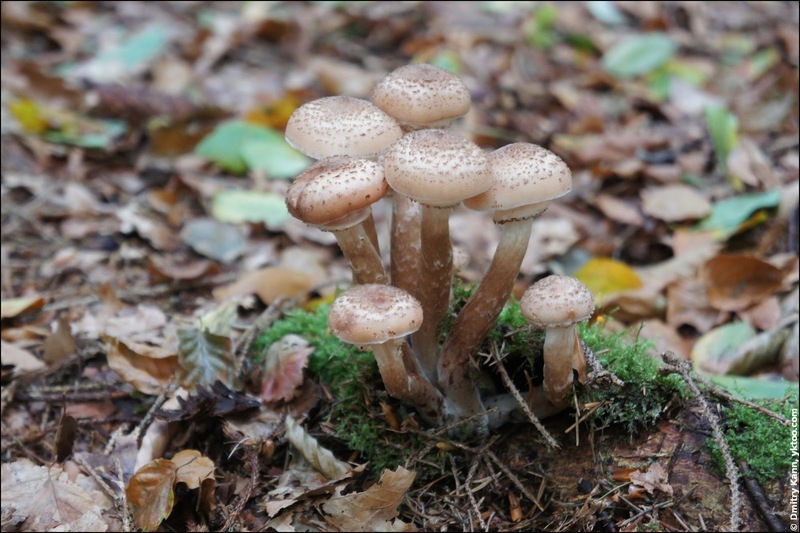 It is more than common to set out early autumn morning for a mushroom hunt. But in Holland everything a piece of land yields formally belongs to the landlord. Which is, in most cases, a district council (gemeente). Gathering any of such items is considered theft and subject to a penalty, once you're caught en flagrante (I'm not sure about the exact amount but I can think of a fine ranged € 50—200, depending on the severity of the offence). The local press is telling frightening stories about fines and the risk of poisoning. "We've conducted a legal research and concluded that there's no difference between picking of chestnuts, berries or mushrooms. It's better to leave them for animals to eat," — quotes the article a Forestry Commission officer as saying. 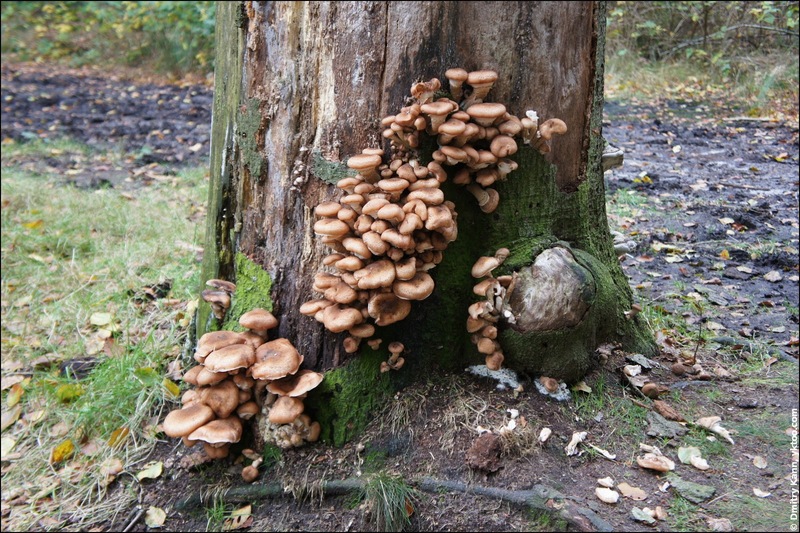 Most Dutch have no slightest clue about species and edibility of mushrooms, apart from ones in grocery stores (ca. € 100 for a kilo of dried eekhoorntjesbrood). They are really amazed to hear you've been to a mushroom hunt: "Wow, you can really tell the good from the bad ones?!" Others only associate them with hallucinogenic stuff sold in Amsterdam smart-shops. 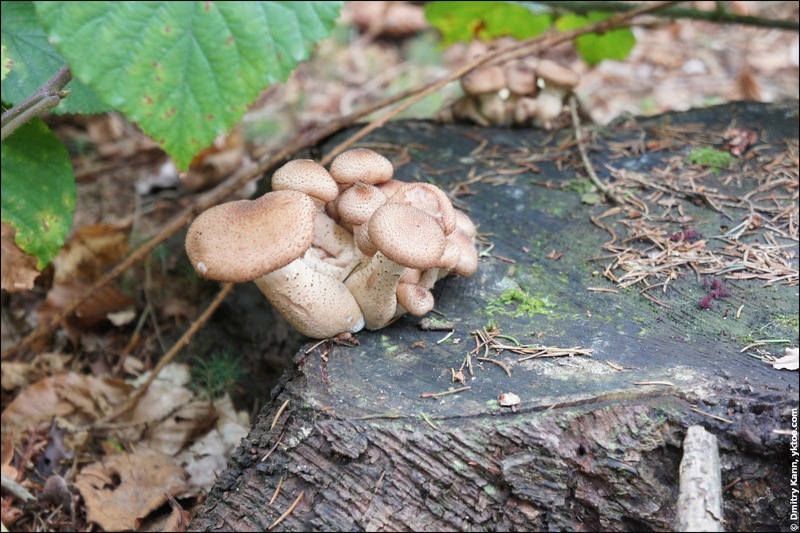 Another funny fact is that "mushroom" in Dutch sounds as "toad's stool" (paddestoel or paddenstoel: pad is toad, stoel means stool). So only looking at them is allowed. Painful. Otherwise the forest is gorgeous. Quiet, though busy in the weekend, when the weather is good. The Dutch love forest walks.